Cape Town - Orlando Pirates defender Brian Hlongwa feels he is benefitting greatly from his loan spell at National First Division (NFD) club Real Kings. Hlongwa was signed by the Buccaneers near the start of 2016 from the KZN Football Academy, and he went on to feature for Pirates' MultiChoice Diski Challenge side last season. The promising young defender's football education is now taking place in his home province of KZN, where he has played every minute of Real Kings' 10 matches in the NFD this season. Hlongwa says it's a not a division for the feint-hearted, but is happy to be participating on such a competitive stage. 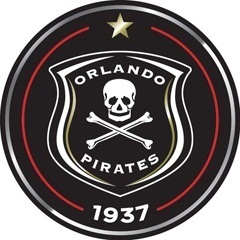 "The NFD is tough man, everyone is fighting," he told the official Orlando Pirates website. "Here [NFD], you are so close to the PSL and it's all you ever think about. The clubs are very competitive and at the end of each game you can feel that you have been in a war. "Nobody gives you an inch, you have to be on your game at all times. The next game is always your toughest because the approach here is that every game is like a final." He says the training regime at Kings means he is in top shape and on top of his game. "When I arrived in pre-season we were doing two, three training sessions per day at times: twice on the field, once in the gym. "I thought they were crazy! But now after 10 games I can see why we went that way. There is very little room for error and if you are physically fit, then you will also be mentally sharper. That is a good thing." And even though Kings are on a short break due to the international action, Hlongwa says it's been business as usual. "We are still training as normal, we have friendly matches lined up so the programme is pretty busy. "You can't really afford to stop just because there are no set fixtures. It's something that I was used to when I was playing at Pirates, because even when the MDC season was over, we still carried on just to stay sharp. "It's the same here. When you relax, then everything you have worked towards goes out the window. "Coach Simo [Dladla] is not one to relax, he works so hard and expects the same from his team. He's that guy that gets to training first and is the last to leave. We are feeding off his energy and hard work," the defender concluded.